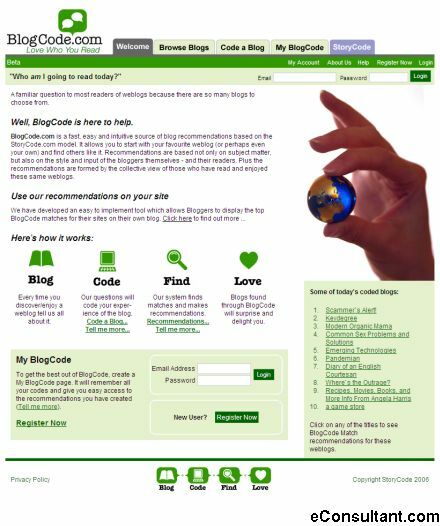 Description : BlogCode.com is a fast, easy and intuitive source of blog recommendations based on the StoryCode.com model. It allows you to start with your favourite weblog (or perhaps even your own) and find others like it. Recommendations are based not only on subject matter, but also on the style and input of the bloggers themselves – and their readers. Plus the recommendations are formed by the collective view of those who have read and enjoyed these same weblogs.